Adaptive optics is the most revolutionary breakthrough in astronomy since Galileo pointed his telescope skyward four hundred years ago. It is critical technology that will enable astronomers to answer challenging questions about the universe. Over the last four decades, a formidable and persistent team of scientists from the Air Force Research Laboratory, MIT/Lincoln Laboratory, and private contractors led the way in achieving groundbreaking advances in adaptive optics. They demonstrated laser guide star techniques and made adaptive optics practical on large telescopes. The military aggressively pursued the development of adaptive optics for two reasons--imaging for space situational awareness and laser weapons. A significant part of this research occurred at the Starfire Optical Range in New Mexico and the Maui optical site in Hawaii. The program remained classified during the 1970s and 1980s, but the government declassified it in the early 1990s, enabling significant technology transfer to the astronomy community. 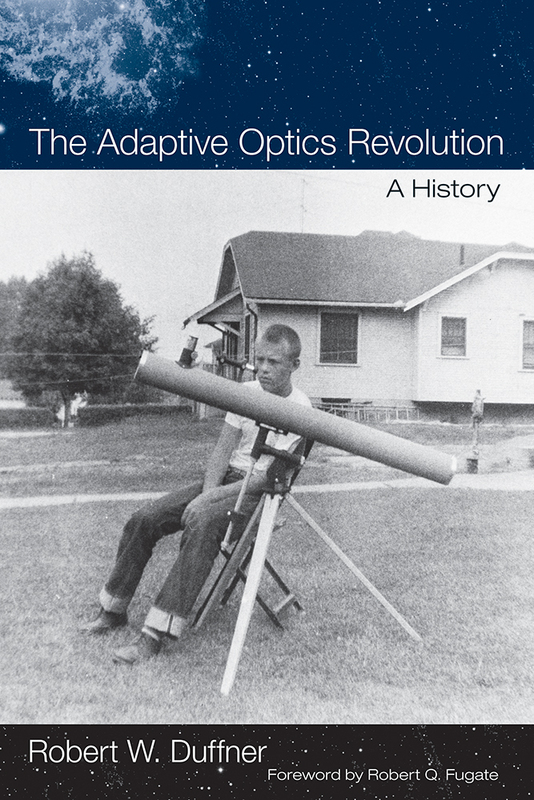 Robert Duffner has compiled a unique history of the invention of laser guide stars and other contributions to adaptive optics made by the Department of Defense. He had access to a large collection of primary source material housed in the offices of government scientists and in the Research Laboratory's archives at Kirtland Air Force Base, Albuquerque. Duffner also interviewed seventy-one prominent scientists who played key roles advancing adaptive optics research. Robert W. Duffner is the historian for the Air Force Research Laboratory's Directed Energy and Space Vehicles directorates in Albuquerque. He is the author of Airborne Laser: Bullets of Light and Science and Technology: The Making of the Air Force Research Laboratory. Robert Q. Fugate is an internationally recognized experimental physicist who made major contributions to the development of laser guide stars and adaptive optics for large telescopes for the Department of Defense. He has written numerous articles published in a variety of scientific journals and is the former technical director of the Starfire Optical Range at Kirtland Air Force Base.